An Unlikely Story is kicking off Independent Bookstore Day celebrations with a fundraiser for the Binc Foundation! 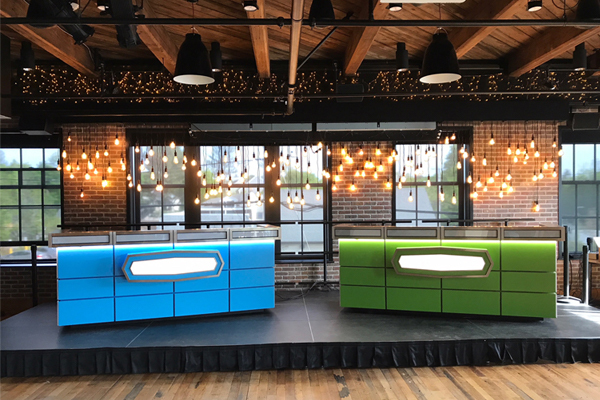 At the event, authors, publisher sales reps, and independent booksellers from MA, RI, and CT will go head to head in a game show-style trivia contest, featuring Holly Black, Cassandra Clare, and Raul the Third. Join in the fun and cheer everybody on! Proceeds from the general admission tickets and the cash bar will go to Binc. An Unlikely Story will also provide complimentary snacks, so come out to support a great cause, mingle with authors & booksellers, and generally have a fabulous time! The Book Industry Charitable Foundation is a 501(c)(3) nonprofit organization that coordinates charitable programs to strengthen the bookselling community. Established in 1996, the core program provides assistance to bookstore employees who have a demonstrated financial need arising from severe hardship and/or emergency circumstances. Since its inception, the organization has provided more than $6.6 million in financial assistance and scholarships to more than 7,476 families. Support for the Foundation’s programs and services come from all sectors of the book industry. The Book Industry Charitable Foundation’s mission is to strengthen the bookselling community through charitable programs that support employees and their families. The Foundation was imagined and built by booksellers and proudly continues to be their safety net. It is our vision to be a caring community of book people.